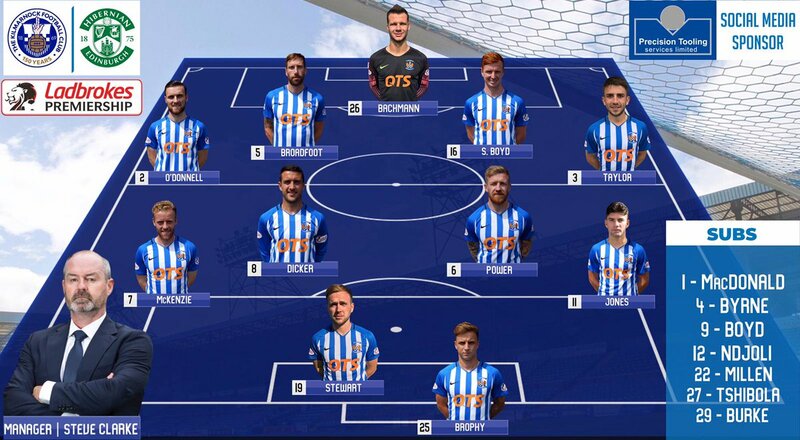 Bachmann, O'Donnell, Broadfoot, S Boyd, Taylor, McKenzie, (Burke 73), Dicker, Power, Jones, Stewart , Brophy, (Tshibola 59). 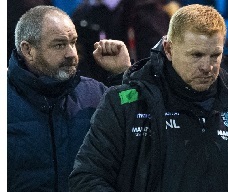 Two temporary floodlight failures could not prevent Kilmarnock moving to within a point of the Scottish Premiership summit with an easy win over Hibernian. Eamonn Brophy slid Steve Clarke's side in front early on, then converted a penalty following Darren McGregor's foul on Jordan Jones. The second half was interrupted twice when the power went out. But after play resumed for a second time, Greg Stewart dinked the ball over Adam Bogdan for Kilmarnock's third. 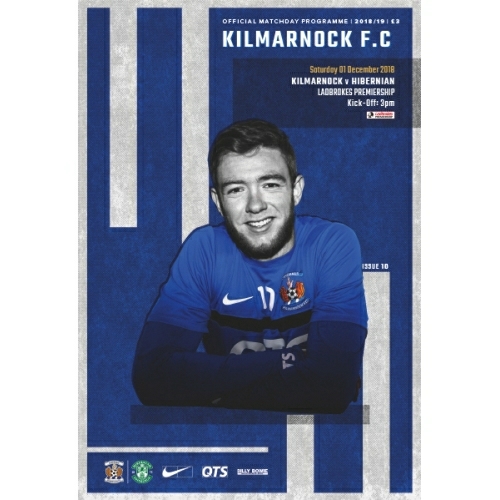 Kilmarnock, who host Livingston on Wednesday, stretch their unbeaten run to three and are second - a point off leaders Celtic, who have two games in hand. Steve Clarke: "I thought we were good, first half especially. 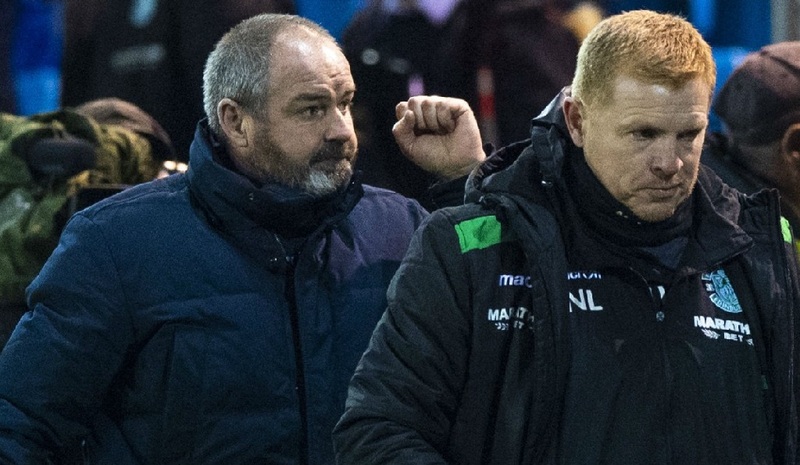 Neil Lennon came with a little bit of a different side but we got the early goal and that was crucial. "Second half, we invited them on a little bit. If we'd have been a little bit more clinical we could've had a bigger scoreline." "Hopefully the performance will get more of the headlines than the lights because I thought we were terrific today, from start to finish. "I thought the defenders were excellent and that's three clean sheets in a row. That's a big part as well as the goal scorers coming back. "When they go off you have to let the system cool and then trip them back in. I don’t think the referee would have let them on again so the last 25 minutes were a little more nervous than usual. "I think the stoppages actually disrupted us a little bit more than Hibs because they are chasing the game and so have nothing to lose. "We couldn't find a proper rhythm in the second half that we had in the first half so it was nice to get the third goal. I'm not going to grumble with 3-0 win against a good Hibs team."